A visit to Richmond BarracksThe 1916 RisingFollowing the surrender the British military moved swiftly to deal with the situation. First of all they selected Richmond Barracks as a ‘holding centre’, they also decided that the leaders of the Rising and other officers would be held at Richmond Barracks for trial Within the gymnasium you will experience the anticipation, anguish and intensity, which would have filled this space following the Easter Rising 1916.Richmond Barracks will tell you the story of those who have lived and worked for Ireland over the past 200 years. 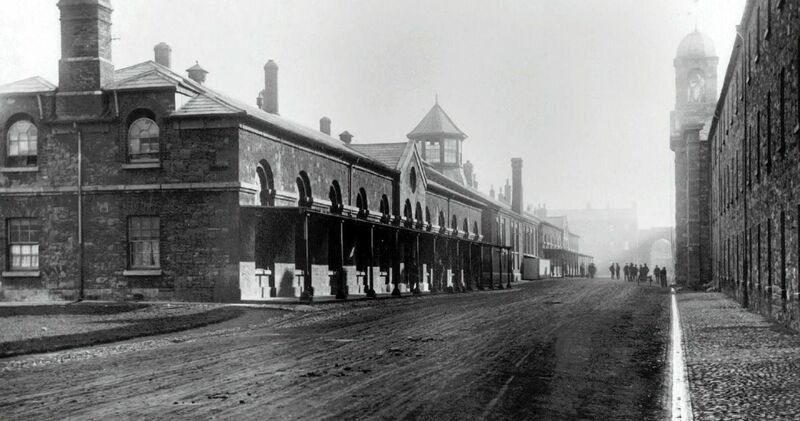 Visitors will be invited to step back in time to experience the fascinating history of Richmond Barracks, The rooms, the corridors, the furniture all tell a personal story which you will relate to – what were the conditions like for the rebels imprisoned in Richmond? What was it like to rear a family in Keogh’s Square? 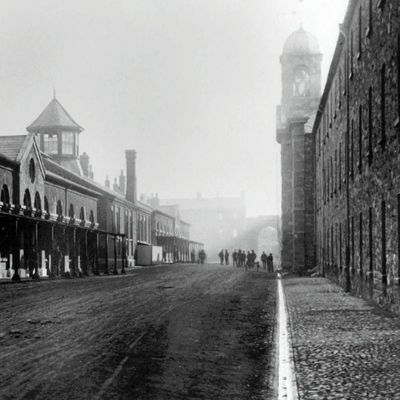 What was it like to go to school in St. Michaels CBS?Goldenbridge CemeteryA tour of Richmond Barracks, will include a tour of the first catholic cemetery in Ireland, founded by Daniel O’Connell in 1828 Visitors will walk in an unspoilt garden cemetery learn about the vaults, the watchmen with the guard dogs, the story of bodysnatching, visit the grave of two former Taoisigh, a child killed a result of a bullet wound in the 1916 Rising and an Irish rugby international who was member of the 1896 Lions tour to South Africa. **Saturdays /Sundays/Bank Holidays – Only pre-booked tour of six or more at 11am. These must be organised in advance by contacting us here at the barracks, on 01- 2228400 or [email]cmljaG1vbmRiYXJyYWNrcyB8IGR1YmxpbmNpdHkgISBpZQ==[/email].